1. The SeaSol presentation shows the importance of working at the local level and not accepting the mediation of those who use the law to resolve worker issues. In Miami all actions and processes undertaken by progressive and or Democratic leaning activists seek to impact state and/or federal legislation as well as implement or reform local, state or federal laws. I’ve seen this in labor, immigration, education and fair elections. I think that for many progressive organizations and organizers short-term reforms are only stepping stones to over all reform, and not steps in the creation of autonomous worker and community organizations able to transform capitalism. Labor law reforms, for example, do not help workers evolve in their own action. Legal action strengthens the laws designed by those who have the money to elect and get elected. Even if you have local laws like Miami-Dade’s anti-wage theft ordinance the structures that exploit workers to the point where owners don’t even pay them are still in place. It seems to me that Seattle Solidarity puts on the table the need to discuss, build and strengthen alternatives to existing processes that limit people’s political action to legal and legislative paths. The presentation gave a few examples of how SeaSol members take those discussions to the streets, schools, workplace and other public venues. It was also clear that “where to go from here,” or the next steps needed to actually have a politicized discussion is part of what needs to be created, or at least translated into a language and cultural practice accessible to more people. We are “a nation of laws,” so goes the narrative about the U.S. That narrative mandates that if people have a problem, suffer an injustice, have a demand for reform, they must “get a [ALCU type] lawyer, call or e-mail your elected official,” and for those who are a bit more “radical” join an NGO, or some type of local club, an organization like the NAACP, the Sierra Club or one of the many political clubs that I have learned both major political parties and their economic supporters sponsor. This mainstream narrative, also disseminated by mainstream media, mandates that any stream of action outside of the courts and legislative paths is either somewhat naïve or blatantly extreme. This is just my perspective, that comes from reading and hearing not only that mainstream media chatter, but the story of many activists who when confronted with immigration reform, wage theft, abortion, health reform, etc. immediately seek to apply pressure that is nothing more than a preamble to why it is necessary to follow pragmatic electoral paths and/or legislative routes. While pragmatic activists and organizers follow this route they ask: what can we really change? Who must we ally ourselves with in the political and cultural (religious) power structure? This translates into an existing structure of organizations that render almost mute efforts like Seattle Solidarity. SeaSol invigorates our ability to think along independent, autonomous, cooperative lines of action, where people work to hash out solutions, or pressure for change without letting lawyers or law makers, or experts in research centers, or party leaders define the solution to direct the “fight” for low wage workers, or people who fall prey to unfair housing practices. Faced with an evolving system of local injustice, that is part of a broader structure of injustice, we must not propose and turn to existing laws and officials who are sworn to uphold those laws. This is a spiral that feeds a model of democracy based on elected representation from a very reduced pool of parties. So reduced that other parties who support this model of capitalism are not allowed to participate in the pragmatic contest of numbers that is elections. Think greens and libertarians. I’ve heard many different people agree that the unjust accumulation of wealth and the culture of greed are a problem. Yet these statements are rarely part of broader and creative exploration of political and social thinking. It seems that any other model won’t garner enough support or those models will undermine the democratic tradition that is the U.S.
Other pragmatic attempts to reform society through progressive electoral movements end up in the hands of Democratic Party elected officials, Union officials, whether they’re progressive or not. I’m thinking on how the Democrats and their union allies have coopted Occupy language. Any structure that would lead people to think outside of these laws and away from people and parties elected to uphold those laws demands a lot of creative thinking and action. And this type of creativity cannot be spontaneous; it must be deeply rooted in a thorough understanding of reality. David, of SeaSol, said they extensively research the issues they decide to tackle. Research I think is a vital necessity, and it would be very important to discuss with SeaSol members their research, to avoid falling into endless pits of participatory models of sociology. I do not reject this type of long-term research, but knowing what research they’ve done in Seattle is a more immediate goal. The SeaSol presentation has made me think about the experience with the Miami based, flower workers solidarity committee as an example of local/regional action that demanded a lot of research to get the action right. At its best the flower committee had about ten members, who were able to maintain links with allies in organized labor, student and progressive organizations. I believe this was possible because we knew what we were talking about; we discussed the next steps and acted promptly. The Colombian flower industry is the most important provider of fresh cut roses, carnations and a few other types of flowers to the U.S. market, and a large number of those flowers enter the U.S. through Miami, where they are processed for shipping. This Miami based industry employs several thousand workers, mostly women, and is part of a broad international agroindustry. These workers in specially equipped warehouses in the area of Doral repackage flowers for further shipping. Although these women are not exposed to working conditions as harsh as women in other countries they do receive low pay, and there is ample anecdotal information about these harsh working conditions. The flower committee is also an example of what happens to a focalized local effort taken over by a liberal NGO and to a certain degree by big labor, like the local AFL-CIO South Florida central labor council as well as SEIU affiliated locals and individuals. The NGO gave the independently created flower committee some economic support. That support actually allowed the NGO to take over the committee and then along with its AFL-SEIU partners stop any organizing efforts with workers. It is very important to point out that those organizations did not stay in the fight once they realized that organizing undocumented temp workers was not in their bureaucratic interest: no votes, no money. To be sure, the two people from SeaSol who spoke in Sweat Records had no overarching answers or definitions outside of what they are doing. I find that very refreshing. David laid out some of their weak spots, but I personally embrace the ability and desire to invest time and action in local problems, that on their own may or may not have national influence. Personally I highlight the existence of a core group of 15 people (if I remember correctly) who are the backbone of Seattle Solidarity. I guess these core groups are always there; they might be a throwback to more traditional political organizing; but they might be the first steps in a process that needs to grow. This leads me to reflect a little bit on efforts to build membership, a network of volunteers and people sympathetic to this type of organizing effort and willing to give of their time and maybe some other type of resources. Critical thinking, supported in effective research and knowledge of the task at hand, along with conversations about where the organization is headed must be had. The development of a radical organization does not happen because people are upset, or poor. I think conversations could deliver solutions if grounded in a praxis that is real and familiar to those who participate. I’m thinking about wage theft in Florida. I received another call from a construction worker the second week of February 2013 who told me that once again he and other workers were not getting paid. He called me because of my past articles in The Florida Independent. I had nowhere to send him, except to Miami-Dade’s Small Business Division to file a claim. But what if we had a way to support this claim? What if we had the members and volunteers to pressure the contractor and sub-contractor? What if we could propose ways to follow this problem with workers, document more wage theft, and deeper labor flaws? Wage theft is as personal as it gets: only watching a co-worker get injured or killed because of safety issues angers a worker more than not getting paid. If we are to act autonomously there has to be action without allowing existing Unions and NGOs to live off a narrative that shows them to be the path for progressives. Simply put we think about creating ways to cooperate with workers and not about competing with SEIU. Or let me put this another way: I have spoken with many progressives who see themselves as rebels but when it comes to building non-partisan organizations that decidedly denounce the politics of numbers, the politics of fear, the politics of war, they just won’t do it, because after all they agree it is better to have Obama and not Mitt Romney, or Alex Sink and not Rick Scott, or Joe Garcia and not David Rivera. 2. David, from SeaSol also mentioned some of their direct action efforts at the local level to help grow their network and he briefly showcased some basic examples of using media and communication. The use of direct action is from my perspective communication, understood as a face-to-face experience between members and allies of Seattle Solidarity. I also see communication as a space of confrontation between SeaSol and those who work for slumlords or defend exploitation. We all have experiences in face-to-face communication. Some are teachers, others are involved in health; some are student leaders. So we all have concrete daily experience working with people, delivering information, as part of a broader effort, which happens in formal and non-formal settings. Maybe it’s time to perfect those attributes for the struggle ahead. David said SeaSol makes phone calls, uses posters, we saw the power point, they have a website, and I imagine other forms of contact and media messaging. But he insisted on the importance of meeting and direct action. Local efforts allow us to actually talk, not just utilize social media. I have no grudge against media, and how media technology creates multiple mediated realities. The events of the last decade offer a rich possibility to expand and lose oneself in the global struggle as well in the analysis of globalized capitalism, diversified cultures, and regional conflicts. The new digital social media gives us access to places, and it is a great tool to establish contacts, express solidarity, but it is also being used by liberals and conservatives to sell a narrative of revolution, where cell phones and smart phones replace patient building of human networks and then taking to the streets. Social media, created by such an enormous and ever present media technology, literally at your fingertips, can foster forms of isolation. Edward Murrow warned about this when he spoke about television in the late 1950s. Then there are messages of fear, of who is who, messages about people’s treachery and deceit; messages about people not being who they seem to be. This rhetoric in many different forms has continued through this decade, and maybe the message full of patriotic individualistic fear is far more poisoning than ever. We have changed the package, the way to deliver messages with modern technology but we must be careful because the incredible ability to access media and produce the message does not mean that message is transformative. I separate media and communication precisely because capitalism has done everything in its power to convince us of the impossibility to meet and talk, to foster direct action. Almost all media owned by enormous capitalist corporations is geared to make us think and feel in terms of speed and efficiency, in outcomes, in a pragmatic understanding of messaging. Communication as a face-to-face effort is what we do everyday, there is nothing new in that, but I think projects like SeaSol can also help to break time management. We are not just busy, we are told to stay busy, we are led to shun leisure, we are obsessed with action, but we toil away in isolation, using time in many individual ways. Here I want to mention the experience of the flower committee again. 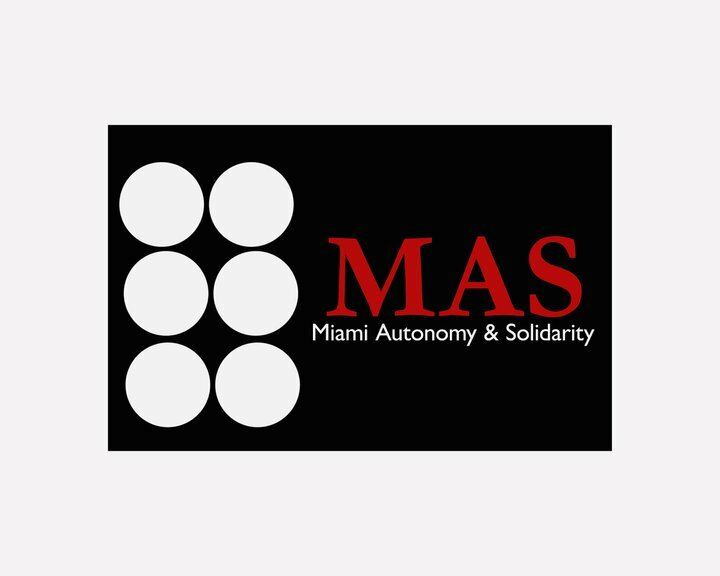 We had created a small local buzz and a show of solidarity, and we thought the next natural step was to talk with local women who work in this Miami based industry that from anecdotal information has terrible labor practices. And that was where we could not break through. About four years have passed since the committee members disbanded due to specific conflicts brought about by organized labor and a local NGO. Communication among committee members and workers may not have resolved the committee’s problems, but communication among a core group of people committed to political action outside of that liberal and always Democratic Party structure would have led us down a different path. What that difference would have been I cannot know. Would it have fostered growth and action? No use in speculating. Four years have gone by since that committee ended. Four years is very little time, yet maybe it could have been enough to anchor that project at the local level, or realize it had played itself out and would not prosper. But, would our action from 2009 and on have strengthened a group of people to move on to new projects? Once again I think there is no use in speculating. Looking back on that flower committee I get a better understanding of SeaSol. Why face-to-face communication? We can say that through simple focused efforts we can show people why what exists does not work, and discuss with them the alternatives, and move on them. Just as communication is not only about the message or the media, it is not therapeutic dialog only. Communication is thought and action that stems from experience, that happens and impacts our lives, our relationships. It can help redefine education and share and question our culture. Face to face communication can be planned collectively, in order to propose and explore changes. Communication also leaves psychological and emotional markers on our lives that cannot always be measured in terms of ratings or consumption, or content on our Facebook page. From mass media we have learned to whittle communication down to ONLY the message. We are led to communicate and achieve efficient outcomes. Yet communication is far from and much more than that one simple process, function and goal. Yet we also have many examples of people communicating to transform our space and time. If anything can come of local, political experiences it is the transformation of how we use our time, how we meet with others, what we meet for, what we propose and build together.